ACG Nyström AB is an international company that markets advanced equipment, systems and know-how to the manufacturing industry that refines traditional textiles, technical textiles and other similar materials. Our knowledge of production engineering systems and processes are built up over more than 95 years of close cooperation with our customers. “A total commitment until everything works” has given us a unique role as the link between the world’s leading equipment manufacturers and our customers in the important development process. One can also say that during long periods of time, we “live” with our customer. In addition to the traditional textile and garment industry, our customers are also found in the furniture industry, automotive industry, advertising industry, manufacturers of tents, sails, boat covers, awnings, and manufacturers involved in the processing of similar materials. In an increasing competition, with optimized production processes and a tough business climate, we are a reliable partner who can provide high quality machines, knowledge of the processes and a big commitment. In 1921, on August 17, AB A.C.Gustafson saw the light of day. It was set up by the Swedish-American Carl Axel Gustafsson, who had returned to Sweden to establish himself as an entrepreneur and an agent for the Boston company Reece, who apart from Singer, was the world’s only manufacturer of buttonhole machines for jackets, trousers and coats. A.C. Gustafson leased their machines and paid per sewn buttonhole, hence becoming Sweden’s first leasing company. At most, A.C. Gustafson had 634 contractors and we were the sole Nordic Agent for Reece. That contract consisted of an A4 page with 6 lines of text plus header and a signature. Back then, a gentleman’s agreement and a handshake had more value than a piece of paper. A.C. Gustafson remained an agent for Reece until the end in 2003. The competition from Asia and changes in consumer behavior took its toll. We have been through ups and downs in our company’s history. 1970 we bought out our largest competitor AB Rud Nyström & Co and the new name became ACG Nyström AB. ACG Nyström AB has since then made further acquisitions of competitors and in 1981 we were ready to look outside Sweden. Former Soviet Union, and Moscow became the next big challenge and one year our company performed three of the total Swedish exports to the Soviet Union. It echoed high up in the Swedish business hierarchy. We have remained responsive to the markets and fought hard to evolve our concepts while the industry has been near collapse. The pressure was on. We pulled through and we are proud to have managed to build up a new, successful group of companies. The very first ACG Nyström has remained as the engine of the group throughout the battles. Today, we face new challenges, new customers, new ideas but we are confident to remain a leader within our field as everything is built on our more than 95 years of experience in business, technology, service and customer understanding. For me, as an active leader since 1961, when the company became our family’s, it has been an exciting and at times dizzying journey in Swedish and international business. In 1995 ACG Nyström AB established the first subsidiary company, ACG Nyström Eesti OÜ in Estonia. Subsequently, the company UAB ACG Nyström, Lithuania, was established in 1996 and SIA ACG Nyström Ltd., Latvia, in 1997. The Finnish company ACG Nyström Oy started in 2000 and the latest addition, ACG Nyström Ukraine, was established in 2005. ACG Nyström Oy provides machines and complete solutions for the sewing and knitting industries, embroidery and for the manufacturers of technical textiles, composites and filters. ACG Nyström Oy represents Gerber Technology, Gerber Scientific Products, CADCAM technology, OMAX, Pfaff, Typical, Pegasus, Strobel, Eastman, Stoll, Tajima, Pulse and Primula. ACG Nyström Oy also distributes materials and yarns for the shoe and furniture industries and represents Rhenoflex, Stilla, Crespi, Matsa, Astor, Brero, Mark and Pizzo. ACG Nyström Aps represents Gerber Technology, and Gerber Scientific Products. Estonia was the first company we started in the Baltic countries after the Baltic liberation. 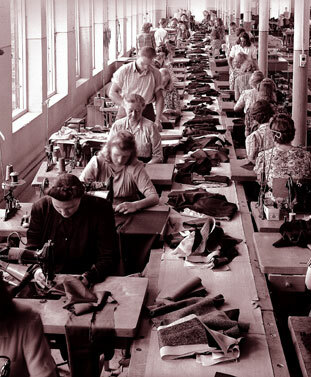 It was a pioneering company for garment manufacturers, knitters and shoe manufactures. We were an instant success with long mortgage agreements and everything based on trust. Today ACG Nystrom in Tallinn a full-service supplier from design to label, with a good and solid reputation in Estonia. The company in Latvia started in 1997 and has had a very good development. It has a full range of programs for the clothing and knitwear industry, from digital cutting equipment to digitally controlled embroidery machines. Machine operation is supplemented with full parts and technical service. CAD training is also successful. The company in Lithuania has grown up to be Lithuania’s largest complete supplier of equipment for the clothing and knitwear industry and which also works with weavers and dyers. In our beautiful property in Kaunas, we have a fully equipped team of sales and service personnel, who take care of everything from the design of a garment to the labels. ACG Nyström Ukraine was added in 2005. ACG Gruppen AB consists of leading and unique ventures in various business segments, not only in the traditional textile machinery sector, but in such diverse industries as printing, material handling and labelling. Acg Accent AB markets solutions of labelling and transfer labels, focusing on the processing of trademarks. ACG Fyrtal AB has for years helped companies with marking and identification solutions for the industry. The system is used in Europe in areas such as industry, electronics, processing & chemistry, logistics, healthcare, defense and in many more areas. ACG Nyström AB is an international company that markets advanced equipment, systems and know-how to the manufacturing industry that refines traditional textiles, technical textiles and other similar materials. We are currently represented, in addition to Sweden, also in Finland, Estonia, Latvia, Lithuania and the Ukraine. ACG Pulse AB develops, manufactures and markets an advanced RFID based logistics management system for clothing and personal protection products. The system is sold to commercial laundries and installed at its customers, mainly in Europe. This is done under the trade marks Unimat and Conique. ACG Kinna Automatic AB is the latest addition to the group. ACG Kinna Automatic AB is a leading manufacturer of machines for the fully automatic production lines for the textile industry worldwide. Through its customized machines and many years of experience, ACG Kinna Automatic AB is a valuable asset for the customer. Eskils Tryckeri AB is one of West Sweden’s largest and most modern sheet offset printing works. We print everything from brochures and posters to labels and office printing.